Schadenfreude, or taking pleasure in someone else’s pain, is rarely guilt-free. The kid who picked on you at school, grew up to get implausibly rich, and yet was burgled the other day – they didn’t really deserve that. You’re just a bit jealous. But videogame cheaters whining because they’ve been caught and banned? Probably the best target for a little schadenfreude catharsis. Sombra is a hacker, but not a cheater. Get to grips with Overwatch’s newest hero here. Blizzard’s Overwatch has been suffering a spate of cheaters just recently. We hear that one popular aimbot can be programmed to occasionally miss, making it harder to detect. “ill join you, we’ll have a solid class action lawsuit” (No, you won’t). That these people can muster the gall to get indignant about being punished for cheating remains hilarious, let alone the idea that they have a case to sue. Read the terms of service. 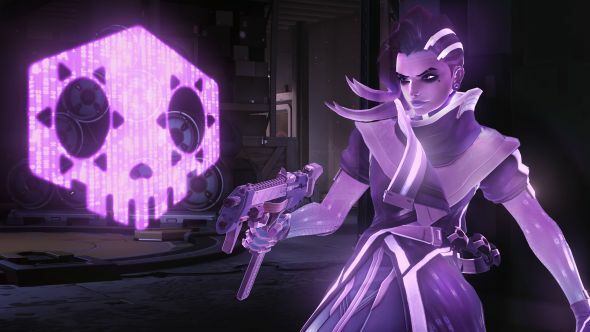 Have you been affected by hackers in Overwatch? Are you confident of jumping back in now that it’s “Ban-hammer down?” Share your experiences in the comments.